Home » Urging the Super Committee to "Go Big"
Urging the Super Committee to "Go Big"
On Wednesday, September 21st CRFB hosted a three-panel discussion made up of lawmakers and budget luminaries urging the Super Committee to “Go Big” and develop a large-scale debt reduction package sufficient to stabilize the debt as a share of the economy. All panelists supported the notion that the minimum amount of savings tasked to the super committee, between $1.2 and $1.5 trillion, is an insufficient target for putting the budget on a sustainable path. A video of the event will soon be available, so check back on our homepage. Participants included former Federal Reserve Chairman Alan Greenspan, Co-chair of the National Commission on Fiscal Responsibility and Reform Erskine Bowles, Senators Mark Warner and Mike Crapo, former CBO and OMB Director Alice Rivlin, former Senator Pete Domenici, Business Roundtable President John Engler, and former SEIU President Andy Stern. See below for the full list of participants. 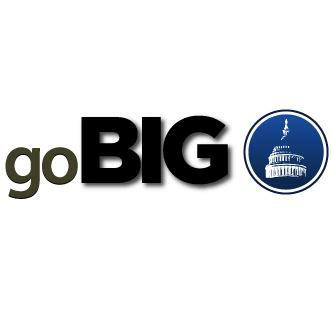 Additionally, a number of prominent policymakers added their voices to the go big movement in recorded remarks that can be found here. CRFB President Maya MacGuineas, Steve Bell of the Bipartisan policy Center, and Concord Coalition Executive Director Bob Bixby made opening remarks on behalf of their organizations as co-hosts, setting the tone for the “Go Big”, “Go Long”, and “Go Smart” messages. Failure is not an option. Congress and the President have really backed themselves up against a wall, and kicking the can further down the road to delay making difficult choices is no longer an option. $1.5 trillion is an inadequate savings target; most agreed the minimum goal should be at least $4 trillion, while others argued for a higher minimum of $5-6 trillion (Chairman Greenspan), to even beyond that (David Stockman). Everything must be on the table – spending cuts, tax reform (including tax expenditures), and entitlement reform. There are a lot of good plans out there with multiple ideas to achieve a $4 trillion goal – the Simpson-Bowles and Domenici-Rivlin plans were frequently cited. Among the many observations and recommendations from participants, Andy Stern’s surprising admission that he regretted not voting for the Bowles-Simpson Fiscal Commission plan may have been one of the most notable moments. Another common theme was that lawmakers need to acknowledge that the public in many ways is more supportive of a go big approach than many lawmakers right now, and we need to compare the kinds of changes necessary to put debt on a downward path to what might happen if we experience some kind of bond crisis and loss of confidence. The math is pretty simple – without changes now there’s a pretty steep cliff on the horizon. The Super Committee must implement policies that begin to get deficits and debt under control, while at the same time not harming the fragile economic recovery that is a key to restoring increased prosperity and growth. There was universal agreement on the need to “go big”, and that there is no time for delay. Panelists argued that circumstances and external forces will eventually force lawmakers’ hand, and the better route is to make some tough choices now that begin a longer-term path to sustainable levels of debt and a return to more manageable annual deficits, and perhaps even eventually a balanced budget. To RSVP, email Kingsley Trotter at trotter@newamerica.net. The event will also be live webcast -- check back here for the video stream closer to event time.